Proper lubrication is essential for maximizing the performance of your tablet compression tooling, tablet press and press parts. Natoli offers an assortment of synthetic food grade lubricants, synthetic non-food that are specially formulated for the tablet compression industry. 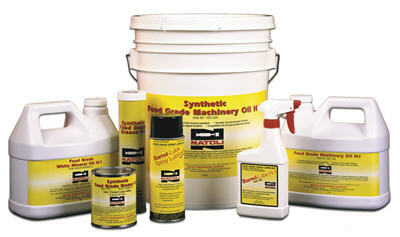 Natoli also offers a variety of lubricant applicators. Formulated to use on any area where incidental food contact may occur, all Natoli food grade lubricants are FDA approved and meet or exceed USDA H–1 requirements. Designed to use below the tablet compression zone, Natoli’s non-food grade lubricants are formulated to extend machine and tool wear under the most extreme pressures.